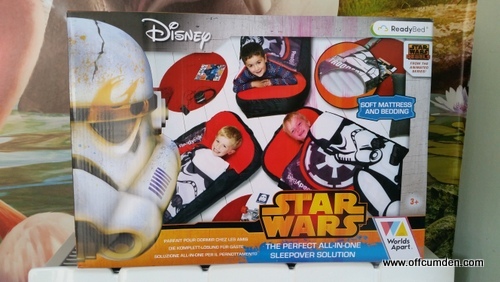 We were asked to review a couple of ready beds, a Cinderella one for my daughter and a star wars one for my son. I bought a second hand ready bed a few years ago and the first thing which struck me was how much they have changed in only a few years! I was pleasantly surprised to discover that there was a pump inside the box, although I only made the discovery after I had turned the house upside down trying to find my foot pump. 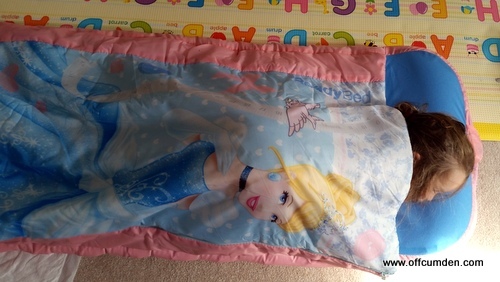 They were easy to inflate, and I love that the bag is part of the bed, meaning that you won't lose it. A problem we had with the old style beds was that we misplaced the bag on more than one occasion. 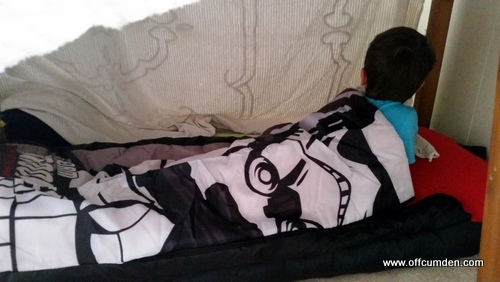 My son is six and around 120cm tall but he fitted in very easily with room to spare. My daughter, as most of you already know, isn't very girly, so she was initially disappointed that she didn't have a star wars bed. However, once I had pointed out that her bed was mainly blue, she came round and decided she liked it! They both had a night sleeping in their ready bed in dens we had made in their bedroom. We were not disturbed and they slept soundly, so they are a hit in my book! We have subsequently used them for the children's first ever sleepover. Both my children made their friends sleep in their own beds so that they could sleep in their ReadyBeds! 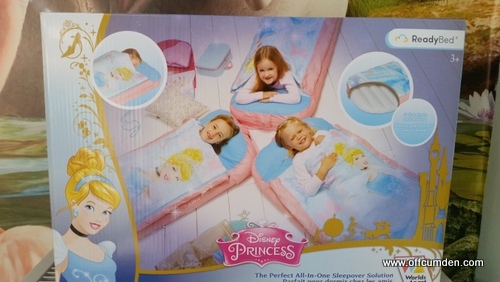 These would be fantastic for camping and I will definitely be bringing them in the car when we visit family this summer. They fold up small and take up very little space in the car. It is also really useful just to have one on hand for B&B guests.